Honorary sporting title. Standard reduction in sports reference literature - ZMS. 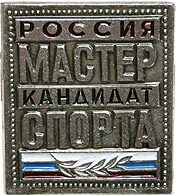 The title "Honored Master of Sports" was established in USSR in 1934 (since 1983 the official name is "Honored Master of Sports USSR "). 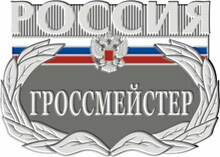 Honorary title - a rank appropriated individually by the supreme legislative body of the country or the president; Honorary sporting title - a rank appropriated individually by the leadership of the ministry responsible for the sport or departments; Sports rank - a rank, assigned at performance of the specifications established by sports classifications. The higher sporting title has two variants of the name - "Master of Sports of the International Class" and "Grandmaster Russia". The use of two terms is due to tradition - the title of "Grandmaster" is used for desktop logic games (chess, checkers, go), and MSMK - for all other sports. Youth ranks are awarded only in those sports where age objectively gives an overwhelming advantage over the opponent, regardless of the level of his preparation (where such qualities as physical strength, speed of movement, endurance, reaction speed determine). In those types where age does not play a determining role (for example, in intellectual games), juvenile ranks are not appropriated. Achievement of the number of victories over rivals of the corresponding rank or rank set by the standards. The victories achieved during the last year are taken into account only in official competitions, the level of which corresponds to the standards. The implementation of quantitative standards, in those types where such are possible (for example, weightlifting) at official competitions of the appropriate level. Each title (rank) provides for a certain minimum age of the athlete, from which this rank can be assigned. To be awarded the title of GMC or "Grandmaster Russia" the athlete must participate for Russia in international competitions of the appropriate level. For competitions based on the results of which titles and ranks are awarded, norms are established on the level, the composition of the participants, the required number of judges of a certain category, the necessary number of rivals, the number of games, duels, performances in the main and preliminary (elimination) part of the competition. For international competitions, according to which the highest ranks are awarded, the required minimum number of participating countries is determined. 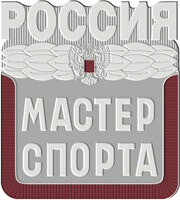 Higher ranks (MSMK, Grandmaster Russia) are approved by the Federal Agency for Physical Culture and Sports. Lower ranks and ranks are awarded to athletes by regional or local (depending on rank or grade) executive bodies for physical culture and sports. 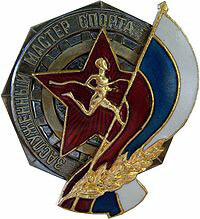 Sports ranks are awarded only to citizens of the Russian Federation. Sports categories must be confirmed at least once every two years.